2018 was a year of breakthrough diplomacy and proxy warfare, Trumpian chaos and unexpected U.S. military drawdowns. An American president and a North Korean dictator shook hands for the very first time since the Korean Peninsula was divided into two nations. American pilots released more munitions in Afghanistan this year than at any other time since the U.S. Air Force began collecting statistics in the country. And, in a remarkable 24-hour stretch in December, President Donald Trump ordered via tweet a complete pullout of the 2,000 U.S. ground troops from Syria. If 2018 was a roller coaster, 2019 could be the year when the dollar-coaster breaks. International politics has a funny way of intruding into a president’s life and forcing policymakers in Washington to stumble around rapidly for a response. Some of the wars now ongoing are likely to continue while new ones could just as easily be sparked. Russia and Iran both look at Syria and see a country that is highly important to their national security interests. There was a reason why Moscow pulled the trigger in 2015 on Russia’s first out-of-area military intervention since the ten-year Afghanistan humiliation in the 1980s. Syria was an old Cold War ally in the Soviet camp sharing a frontline with American-allies Israel, and a nation that hosted Russia’s last warm-water port. To the Iranians, keeping Syria under the Assad family’s thumb was even more imperative. The demise of Bashar al-Assad would have likely meant the demise of a four-decade strategic relationship between the two—one which lasted throughout some of the Islamic Republic’s darkest days. Assad’s death or overthrow would be the worst setback in Iranian foreign policy since perhaps Saddam Hussein’s 1980 invasion of Iranian territory. Syria, however, has never been too important for the United States. U.S. policy in the Middle East would go on regardless of whether Assad was in Damascus, dead or in exile. If U.S. troops were in Syria, it was to kill ISIS and retake the areas the group had captured. But with 99 percent of ISIS’s territory now cleared, the time has come for American personnel to pack up their belongings. Even without ISIS lording over several million Syrians, Syria today is still a pitiful place. The once proud and nationalistic Arab nation is now an arena for foreign powers: Turkish troops are launching artillery against Syrian Kurdish fighters; Syrian Kurds are preparing to battle Syrian Arabs supported by Ankara; Israeli planes are bombing Iranian bases, Hezbollah weapons facilities and Syrian airports; Russian jets are bombing who knows what; and Iranian operatives are digging in for a long stay. If the United States isn’t off Syrian soul by the beginning of 2019, Trump should spend part of his January pushing the Pentagon to accelerate the withdrawal. Right now, the reconciliation dialogue between North and South Korea is going well—or at least well enough. Demilitarization agreements have been signed. Landmines and guard posts are being removed on both sides of the DMZ. And North Korean leader Kim Jong-un could travel to Seoul early next year for a fourth meeting with South Korean president Moon Jae-in. But U.S.-DPRK diplomacy is fragile, and if it gets any more fragile, the bad days of “fire and fury” and mutual threats of nuclear holocaust could return with a vengeance. It’s more than possible that a breakdown in the talks could motivate National Security Adviser John Bolton to chirp in Trump’s ear about the need to prepare for military strikes. Under no circumstance can the president contemplate such an option. While Washington would win a war on the Korean Peninsula, the destruction would be so immense that historians decades from now would look upon all the players as reckless lunatics for instigating it. A million casualties on the Korean Peninsula is the stuff of nightmares, a nightmare that need not come true. Under political pressure from the brutal assassination of Washington Post columnist Jamal Khashoggi and the thousands of pages from investigators detailing Saudi war crimes in Yemen, the White House in November stopped refueling Riyadh’s fighter aircraft to, during and from daily bombing missions. 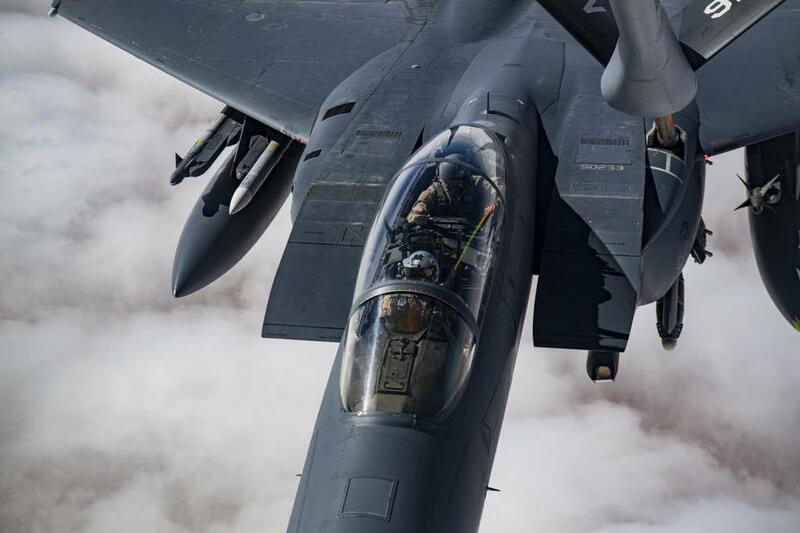 The termination of the mid-air refueling came after more than three and a half years of errant airstrikes from the Saudi military coalition on civilian targets as widespread as funerals, factories, bridges and school-buses. No-strike lists handed to Saudi officers have been ignored . While U.S. pilots aren’t bombing Houthi positions, the U.S. military is a direct participant in Yemen’s civil conflict. Incoming House Speaker Nancy Pelosi has committed herself to a debate and vote to end American involvement for good, and progressive and conservative politicians are promising to force a vote under the War Powers Resolution to mandate the withdrawal of all U.S. military aid to the Saudi coalition thirty days upon passage. Trump ought to end it unilaterally. The “One China Policy” and the three communiques signed between Washington and Beijing from 1972 and 1982 still dictate relations between the two global economic competitors. Taipei, however, still holds people’s hearts in Washington. While the United States hasn’t recognized Taiwan since the days of Jimmy Carter, providing the island with the defense capabilities it needs to defend itself is a bipartisan priority. The 1979 Taiwan Relations Act is still very much the bedrock of the U.S.-Taiwanese partnership. Yet in 2018, Chinese president Xi Jinping became increasingly irritated with the Trump administration for selling defense equipment to what Beijing views as a lawless province of the mainland. Chinese officials were also upset about several freedom of navigation operations executed by the U.S. Navy in the Taiwan Strait. While no one is predicting a Chinese invasion of Taiwan anytime soon, not many people are ruling it out either. If the People’s Liberation Army-Navy takes full control of the Strait or if Beijing actually invades the island, it would be a act of recklessness on par with Russia’s invasion of Crimea. China hawks in both parties would urge a forceful response in such a scenario. Yet according to an October 2018 survey from the Chicago Council on Global Affairs, only 35% of Americans would support using U.S. troops in such a contingency. U.S. Taiwan policy is one of many cases where the beliefs of foreign policy elites don’t correspond to the beliefs of the American public. Is the benefit of protecting Taiwan and saving a democratic David from an authoritarian Goliath worth the costs of a great power naval clash between the world’s two largest economies and military spenders? Certainly not. This list wouldn’t be complete without putting America’s longest war in the mix. Everything that can be said about Afghanistan has been said before over the last seventeen years and two months. Dozens, sometimes hundreds, of Afghanistan’s soldiers and police officers are killed every week in Taliban attacks from inner Kabul to remote lands in Farah province with no end in sight. U.S. trainers continue to train and U.S. advisers continue to advise, with no end in sight. Afghan politicians in the capital continue to fight amongst themselves for prestige, power and money, with no end in sight. U.S. generals issue the same bland and eye-rolling statements about the Afghan army getting better, the Taliban getting more agreeable to negotiations, and the Afghan government getting less corrupt. And, like clockwork, independent investigators like the Special Inspector General for Afghanistan Reconstruction release assessments detailing fraud, abuse and misapplication of taxpayer money; systemic attrition problems in the ranks of the Afghan National Defense and Security Force; bone-headed leadership at the senior levels; and corruption in the ministries. Chairman of the Joint Chiefs Gen. Joe Dunford called Afghanistan a “ stalemate” last November, the same word he used to describe the situation in 2017. 2019 should be the last year U.S. troops have to deploy on behalf of an expensive stalemate.